Silverlight 5 – The Final Version is here! 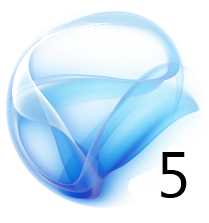 On December the 9th 2011 Microsoft released the final version of Silverlight 5. This release included many new features that I was looking forward to including: P/Invoke XAML Binding Debugging and Implicit Data Templates. with this release came the Go-Live license. This meant that you can now publish Silverlight 5 application to production servers and get support! I am proud to see this release as I feel that I’ve been a part of it’s success with blogging speaking reporting bugs and emailing the team. So “Congratulations” to the team for this release. This blog post will not only offer links to download it but information on learning more about it. I also included a Mini-FAQ as several questions popped up earlier this year that I feel needs addressing. If you want to know “What’s new in Silverlight 5” then check out this page on Silverlight.net and continue reading the article below. First we are going to need to download the required tools to install the Silverlight 5 RTM. Before getting started please note that you can install the Silverlight 5 RTM on top of the final release of Silverlight 4. If you have the Silverlight 5 BETA/RC installed then you might want to go ahead and remove those first. Visual Studio 2010 SP1 or Visual Web Developer Express 2010 SP1 is required to develop a Silverlight 5 RTM Application. After you have installed VS2010 SP1 or Visual Web Developer Express 2010 SP1 then you will need to download and install the Silverlight 5 Tools for Visual Studio 2010 SP1. Will Silverlight 5 run on a Mac? Yes Silverlight 5 fully supports Mac OSX. The only items that will not work are 3D features requiring DirectX and p/Invoke/Com. Introduction to SL5 – This post which provides a brief history of Silverlight and relevant links. Binding - Ancestor Relative Source Binding and Implicit Data Templates. Graphics –XNA 3D API and Improved Graphics Stack. Media - Low-Latency Sound using XNA and Remote Control and Media Command (Keys) Support. Text - Text Tracking and Leading Linked and Multi-column Text OpenType Support Pixel Snapped Text and TextOptions. Operating System Integration Part 1 - P/Invoke Multiple Windows and Unrestricted File System Access in Full Trust. Operating System Integration Part 2 - Default Filename for SaveFileDialog 64-bit browser support and Power Awareness. Productivity and Performance - XAML Binding Debugging Parser Performance Improvements and Multi-core JIT for improved start-up time. Controls - Double and Triple click support PivotViewer and ComboBox Type-Ahead. 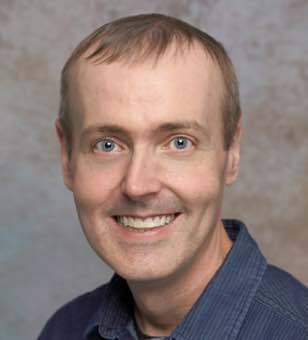 Other items - In-Browser HTML PostScript and Tasks for TPL.